Now that the winter is coming to an end, it is time for us all to start thinking about the ways we can get fit and healthy for that summer body. Today we are going to have a look at some of the fun sports which you can try out this year to get you fit and to also teach you a new hobby. If you are looking for a simple way to get fit and lose some weight this year while also having some fun with a friend or your partner, Zumba is a great choice. Most local towns and cities will have someone who runs a Zumba class and you can join this every week to get toned and build up your endurance while also having fun dancing to different songs. It is a different and unique sport which is why it can be a great way to break out of your regular routine. If you want to go classic and you are thinking of joining a league in your local area, football is always a great idea. 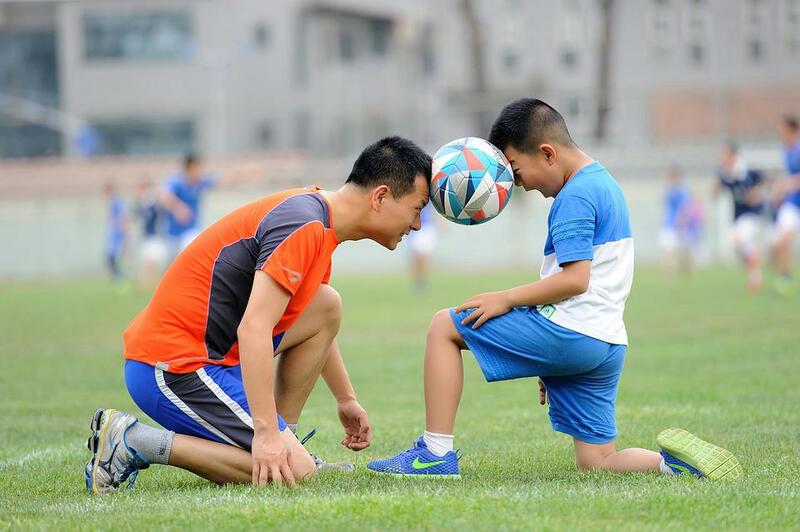 Football is a sport which anyone can learn and take part in and you will also be able to see that all levels of player can enjoy themselves on the pitch. If you have a group of friends or some people from Work who can come and play with you, it can make the day even more fun. Basketball is an awesome sport for people who love to run around and practice their dribbling. And even if you aren’t the tallest person in the world you can still have some fun running around and trying your best to shoot the ball into the hoops. It can be a good activity to try with your friends or you can even look to join a local team for it. If indoor sports aren’t your thing and you happen to live near the beach, why not try your hand at beach volleyball this year? Volleyball is an incredibly fun and active sport which is ideal for those of you who want to build up stamina and stay lean during the summer. The beauty is that you don’t need any special clothing either so you can just play in your bathing suit to save some money! 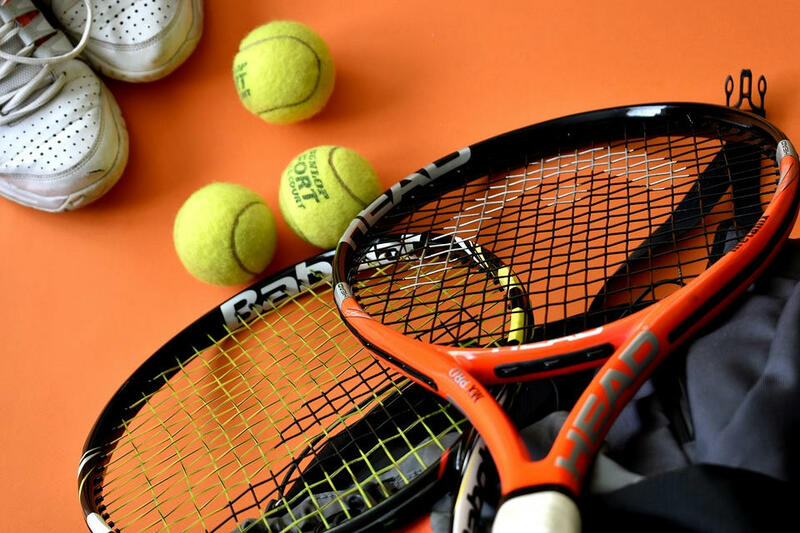 One of the most popular sports in the world has to be tennis, and if you haven’t played tennis before then this is the ideal time for you to learn. Tennis is a simple premise and it is ideal for people with all abilities and all body types, you can be young and fit or a little older and you’ll still be able to have some fun on the court. It could be a good option for a sport to try with your parents or grandparents and it is always a great choice for a sunny day. If you have played tennis but you want to challenge yourself even further this year, one great idea for you to try would be squash. Squash is a sport which takes place inside a closed court and is ideal for people who want to build up their cardio strength as well as their reaction times. You will need to get some rackets and balls for this but it is more than worth it for the fun you’ll get out of it all. For anyone who loves playing in the park with their dogs and kids, frisbee golf can be the ideal sport for you. Frisbee golf sounds exactly like what it is and you will go through an outdoor course and try to throw a frisbee into a little better pot on each hole. It is a sport which is super fun and unique which is perfect for groups of people. If you feel as if you want to try something fun this year, a game of golf can be a relaxing sport which is perfect for those of you who don’t want to move too strenuously. Golf can be a good sport to try with your older family members and it can be a fun way to get everyone out of the house for a little while. If you want to try a sport which isn’t competitive and you always love to be in the water, you can try swimming this year and build up strength through your whole body. Swimming is a sport which targets every muscle and it is the ideal one to try this year if you want to tone up and get lean. Not everyone likes to play super strenuous sports, and table tennis can be a good alternative for those of you who don’t want to get out onto the court this year. You can have some real fun playing table tennis at home with simple tabletop kit and this can be the ideal thing for a rainy day. Boxing isn’t just a way for people to let out some frustration, it is also a sport which can be perfect for anyone to try if they want to lose some weight and build up muscle. You can join a kickboxing or boxing class in your local area and take some time to learn how to punch and protect yourself. This is a useful sport to learn because it will allow you to defend yourself in real life situations too. If you don’t want to try any of the conventional sports on this list, it’s a good idea to make up a sport for yourself or try something unique in your local city. You could find a hoverboard price and ride this down your local boardwalk, try your hand at beer yoga, or even think about trying some aerial acrobatics or pole dancing. 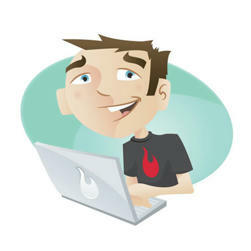 You can find lots of fun and different sports around so it is worth having a look online to see what choice there is. Have fun with it all and just try what you want to try. Could Sports See That Your Kids Are Fit For The Working World? Any parent knows that encouraging their kids to take part in active hobbies is a good thing. If nothing else, this is a fantastic way to encourage fitness. No parent could sniff at that in a world where more than 1 in five children are overweight or obese. Even if your child isn’t suffering with their weight, ensuring that they keep on top of exercise can see them living a happier and healthier life. If you haven’t already signed them up for some sport, then, that alone should see you reaching for your pen. The benefits don’t end there, either. 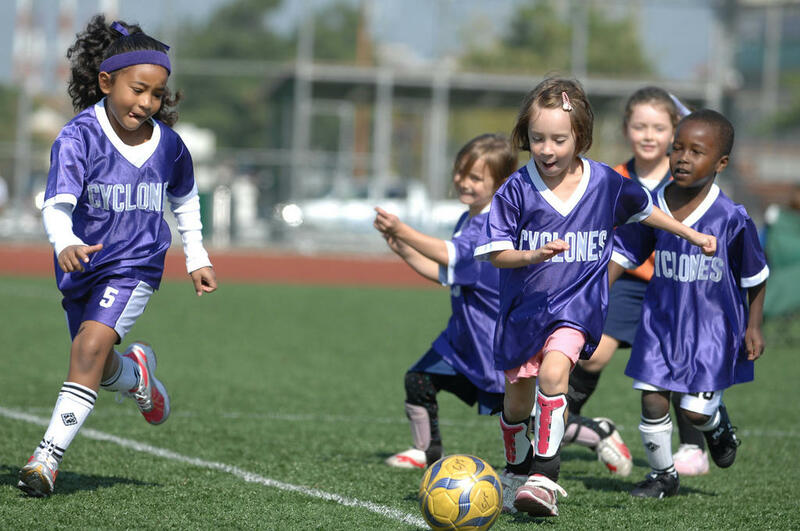 A regular sporting habit can also set children up for their futures in a lot of ways. That’s because the mentality sports induce isn’t dissimilar to the way we need to think in the working world. Sports are more than physical activities. They also teach a set of values which kids can take forward with them. You could go as far as to say that sporting is a way of life, not just a hobby. But, how exactly can a local sports club set your kids up for proper behavior in the workplace? Keep on reading to find out. You can’t mention sports without talking teamwork. With few exceptions, the two go hand in hand. Group options like baseball and football can certainly teach kids a few things about working with others to get a job done. They can’t very well score all those goals on their own, after all. Instead, every member of the team plays a set and crucial role towards the team’s overall success. And, everyone has to respect those positions to reap the rewards of them. If that doesn’t sound familiar to you, it should. It’s precisely the kind of dynamic we see in workplaces across the world. Again, there are exceptions, but most of us need to work with our colleagues to achieve results. An office is all about different departments working towards a united goal. In industries like retail, you rely on various team members to complete different aspects of a transaction. In a field like construction, an ability to work with others becomes a matter of life or death. Whatever industry your child chooses to work in, then, you can bet they’ll thank their days on the sporting field. Start them here early enough, and they should be able to forge decent relationships in any environment. All thanks to those sports. Sports are also all about working hard to achieve results. Most teams will meet at least twice or more a week to work on their game. Leading up to big matches, these practices may even increase to an hour or more every morning. That’s because you can’t win without working for it. And, you can’t achieve a decent career without doing the same. Time on that sporting field will show your child how their efforts impact the results they see. If they skip practice, they’ll lose a game. It’s that simple. This direct correlation is sure to teach them invaluable lessons about the importance of hard work. The teachings of those early morning practices could see them arriving at the office first or staying after hours to ensure that perform to the best of their ability. That outlook alone is sure to see them going far in whatever they opt to try their hand at. It could even see them climbing the ranks pretty sharpish. People who go the extra mile always come to the attention of the right people, after all. Any sport also brings a fair amount of pressure and stress. Often, this is seen as a bad thing. And, there’s no denying that overbearing parents who pile on the pressure to win can do more damage than good. But, in general, a little pressure when you’re young isn’t all bad news. The working world is a high-pressure environment every single day, after all. If you wrap your kids in cotton wool and make everything too easy for them, that shift is going to come as a real shock. So much so that they may be unable to cope with even the slightest pressure on their shoulders. In extreme cases, this can lead to mental struggles such as anxiety. It could even see them avoiding any career which threatens to challenge them. And, that isn’t good. But, it needn’t happen if they’re used the pressure of regular sporting events. The training and day itself are sure to stress them out but in a safe environment. They’ll have you and their coach to see them through and make sure the pressure doesn’t get too much. Gradually, they’ll develop their own coping mechanisms for those stressful situations. And, when they do head out to work, they’ll be able to turn to those methods to see them through the worst meetings or sales pitches. Any sporting activity going requires a uniform of some kind. Often, this is a case of ease. In team sports, it’s to do with being able to spot your fellows on the field. And, it could well be the first time your child has ever had to wear a uniform for anything. While some schools in the U.S. do require uniforms, many don’t. As such, your child may only know how it feels to wear clothes they’re comfortable in. That can be problematic when they have to dress the part for work. Even if they aren’t working in a uniform-based space, there will be an expectation for them to dress to impress. And, surprise surprise, this is also a lesson they can learn from all those sports. Whether they’re going to practice or playing a match, they’ll need to have a clean uniform ready to go. And, they’ll need to wear it. Otherwise, they’ll get turned away and miss out. Whether they have to wear youth baseball uniforms or football kits, this will get them into a positive habit. When the time does come for them to head to work, then, they won’t resent that uniform need at all. In fact, they’ll embrace it with fond memories of their early sporting days. Early sports can also teach kids about respecting authority figures. Their respect for you and their teachers should already take them halfway here. But, the relationship between players and coaches is often far more like that of employees and managers. That sports coach will work those kids to the bone, and there will often be a lot of resentment. Some players may even rally against the workload, or resent their coach at times. But, when they make those winning goals, they’ll be able to see clearly why all that work was necessary. And, this can lead to strong levels of friendship and respect which they won’t experience elsewhere. That’s a good thing considering that this is a lot like the relationship they’ll later have with their bosses. Managers work us hard, and the relationship isn’t always a happy one. Ultimately though, a positive working environment involves some understanding between managers and employees. No matter how much we hate our bosses during the day, we need to put those feelings behind us during those after work drinks. It’s also important that we bite our tongues if we want to keep our jobs. And, those are all skills that time working with a sporting coach could provide your kids. While this isn’t applicable to every kid who does sports, some will also learn the ability to lead along the way. Those who go on to become team captains or managers will learn what it takes to keep a team in check. They’ll learn about the need to keep everyone onside while maintaining a healthy level of control. They’ll also learn about the need to push themselves harder than their team to ensure the best results. And, these are all qualities which could lead to a future leader in the workplace. If a management position came up in their workplace, they probably wouldn’t think twice about taking it. The chances are that they would do a pretty damn good job, too. And, that’s all because you encouraged them to join the local baseball team. You could go as far as to say that joining a sporting group early can improve their quality of life for the rest of their days. When you think about that, there really is no time like the present to sign them up. For these reasons and more, you should do what you can to find a sport which suits your child’s needs. Even if they aren’t outwardly sporty, options like yoga or horse riding could still see them experiencing all the benefits they need. One thing’s sure; you can bet they’ll thank you for this when they’re achieving their dreams as an indirect result.